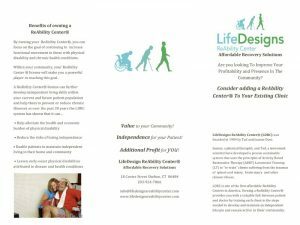 Your clients can now receive continued training on standing, walking, and transferring safely from chair to bed or car with minimal assistance. After being told by countless rehabilitation programs that they would never walk again and that they should prepare for long-term care, your ReAbility Center program will help them regain enough physical strength to remain safe at home with a minimum of support. Upon referral from a friend, family member, or member of their medical team many clients receive grants from several Foundations and Charities associated with LDRC. Serving the communities of Shelton, Monroe, Trumbull, Stratford, Bridgeport, Woodbridge, Milford, Seymour, Derby, Ansonia, Oxford and Fairfield, CT.